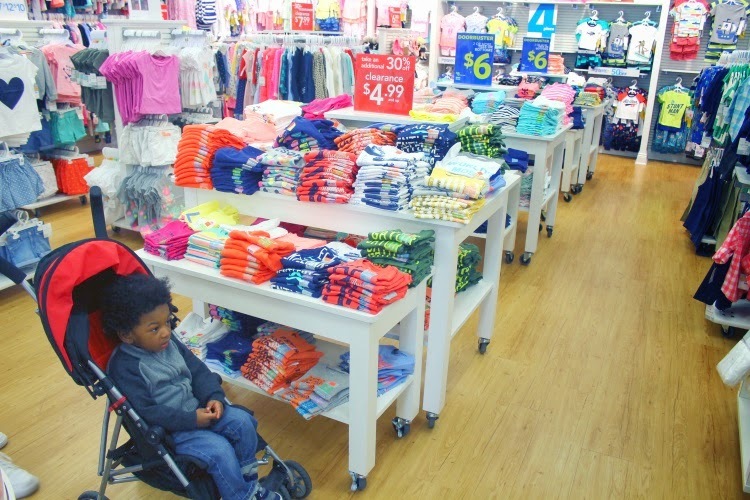 Upon entering the store, there is a center aisle lined with clothing tables. I gravitated to these tremendous savings immediately. 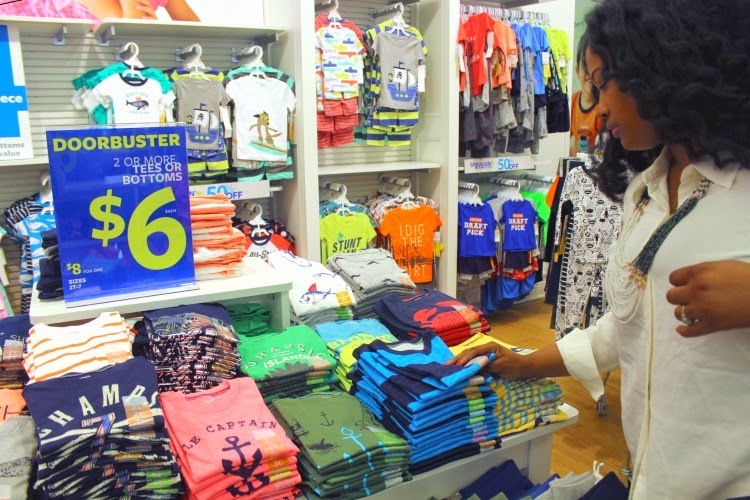 I noticed there were tee shirts and shorts for $6 for two or $8 for one. With prices like this, it was impossible to choose. 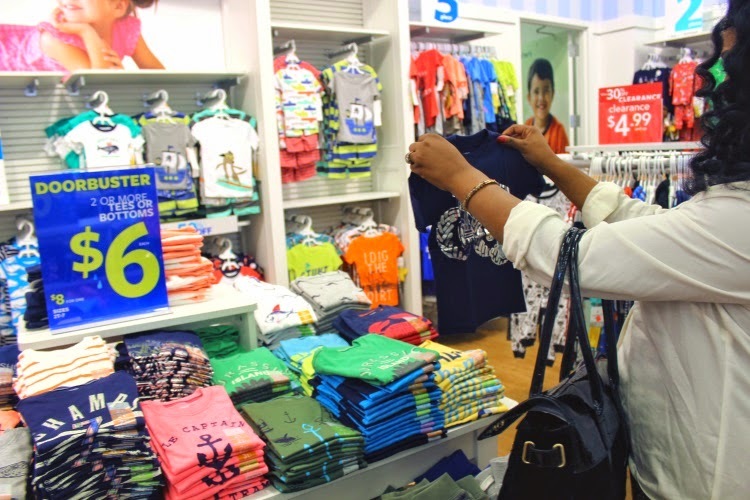 I must have held up every tee shirt there was, to examine its cuteness. 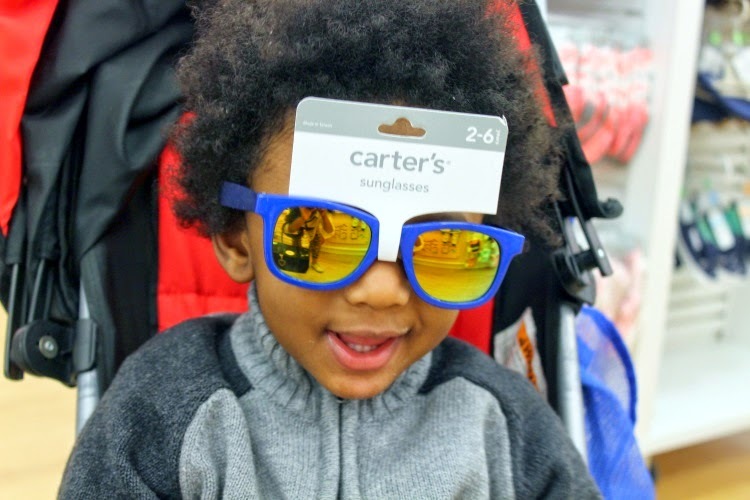 Carter's tees and bottoms are great essentials for my active toddler. They are easy to put on and go, all while still being stylish. I wanted them all! Oh, you fancy, huh?! We all know that Easter brings out the most fabulous outfits at church and other events. I for one don't have the pleasure of dressing up a little girl in a frilly dress with lace socks and patent shoes. 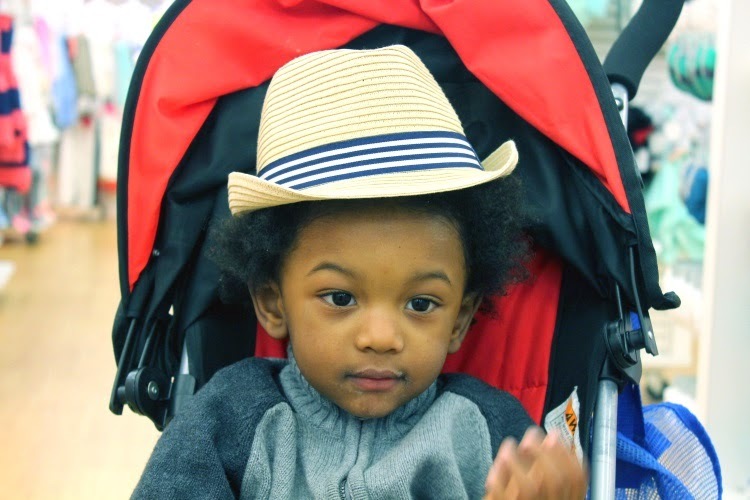 But, I do have a little guy that I can outfit in vibrant colors, button-down shirts and an awesome hat. I'm not a huge fan of stuffy Easter suits (anymore). I like a more casual, preppy look. 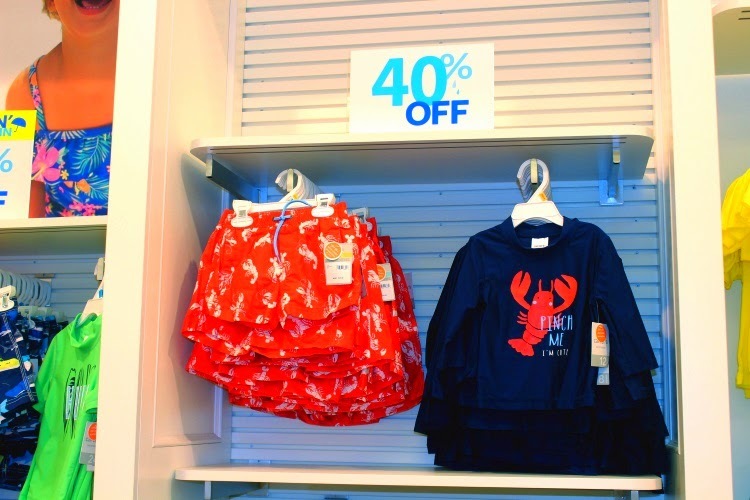 Carter's has great pieces to mix and match so that you can achieve the perfect look. We may have to work on the sizing of this hat (and the milk-stained mouth), but a fedora is always a great addition to any Spring wardrobe. 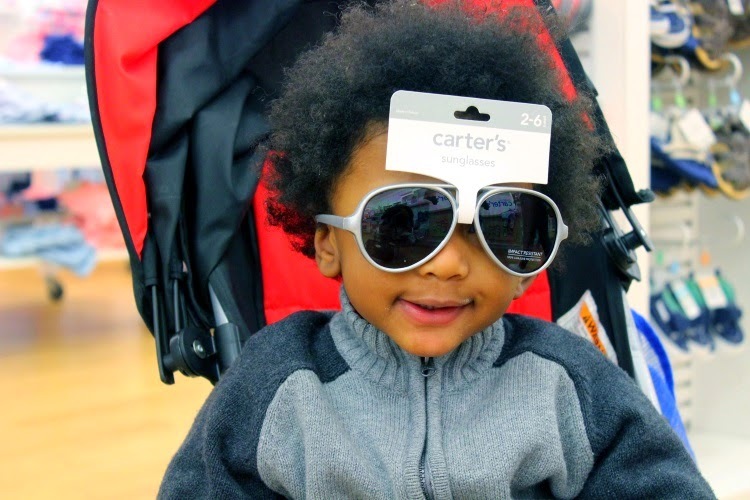 Speaking of essentials, you cannot leave Carter's without picking up a pair of sunglasses for your kid(s). 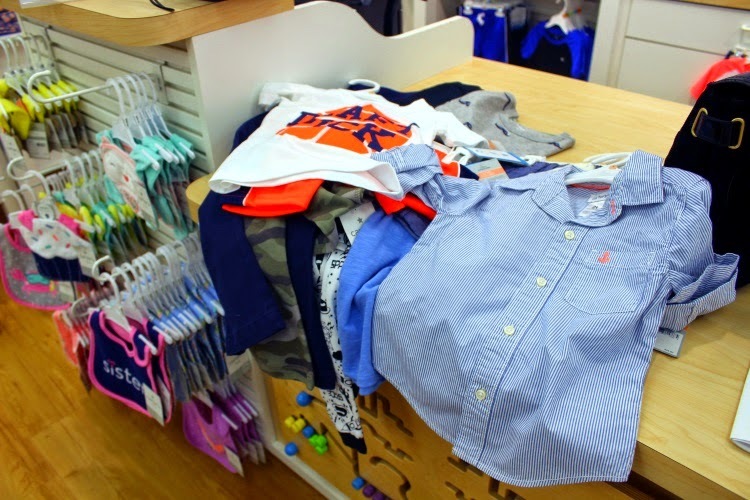 If you're anything like us, it will be too hard of a decision to make and you'll leave the store without any. We had to sleep on it and think about which one was most suitable for Liam. 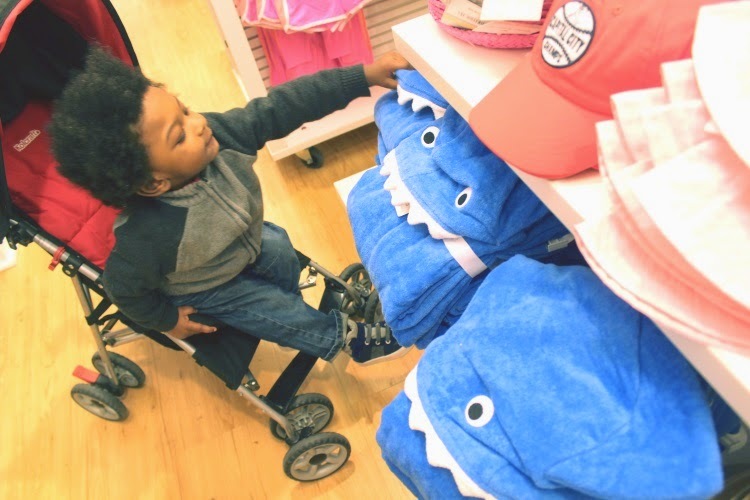 If you have a second (obviously...you're reading this post), can you help this little guy out, please? 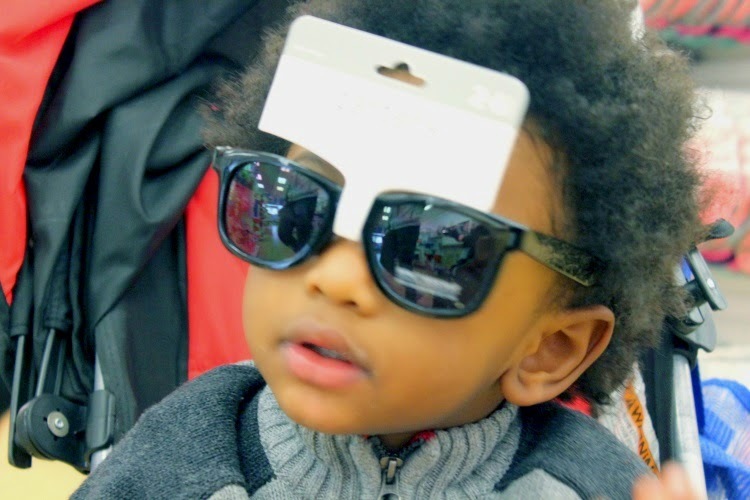 Did I mention that accessories were on sale during our visit? Well, they were. And you can save even more when you combine this lovely coupon with the sale (not valid on doorbusters and clearance; other exclusions apply). Just click on the picture to make it larger and print it. 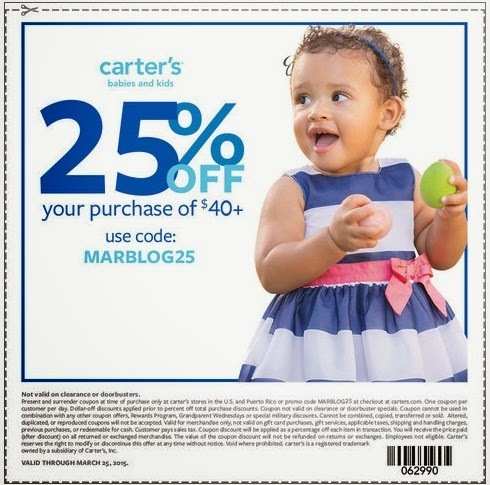 If you're shopping online at Carters.com, just use code MARBLOG25 to save 25% of your purchase of $40+. Don't let the fact that this coupon does not work on clearance deter you from browsing those racks either. 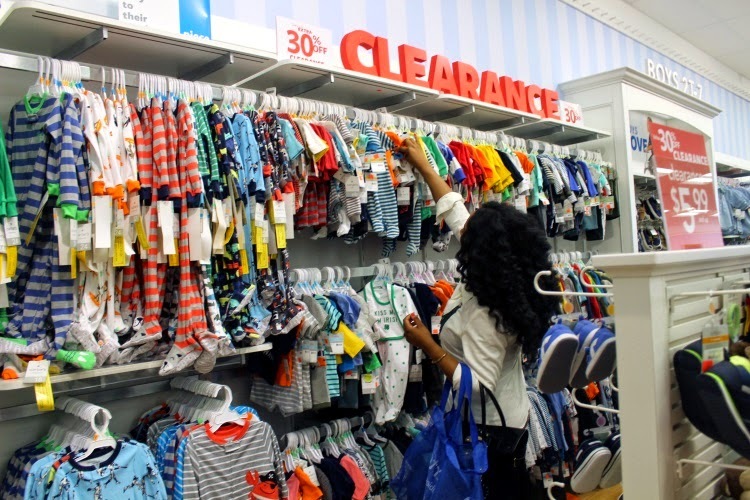 There were great prices on clearance, too. We lucked out and made it in when it was an additional 30% off the lowest ticketed price. 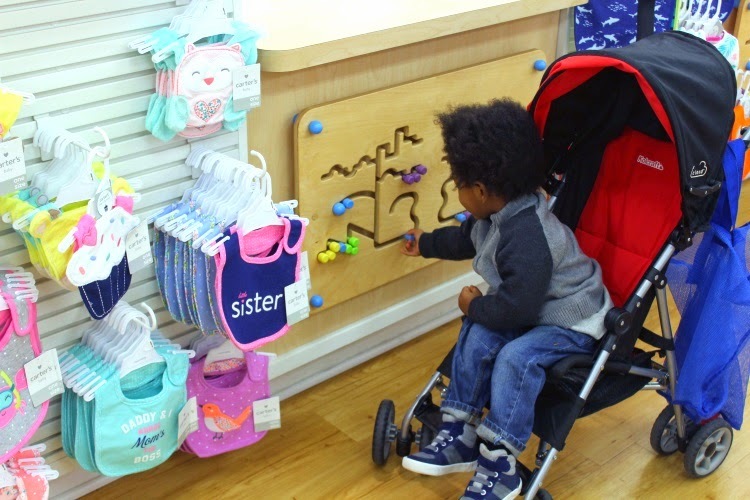 After spending a ridiculous amount of time in Carter's (because we have nothing but time, right?! ), we finally settled some items. 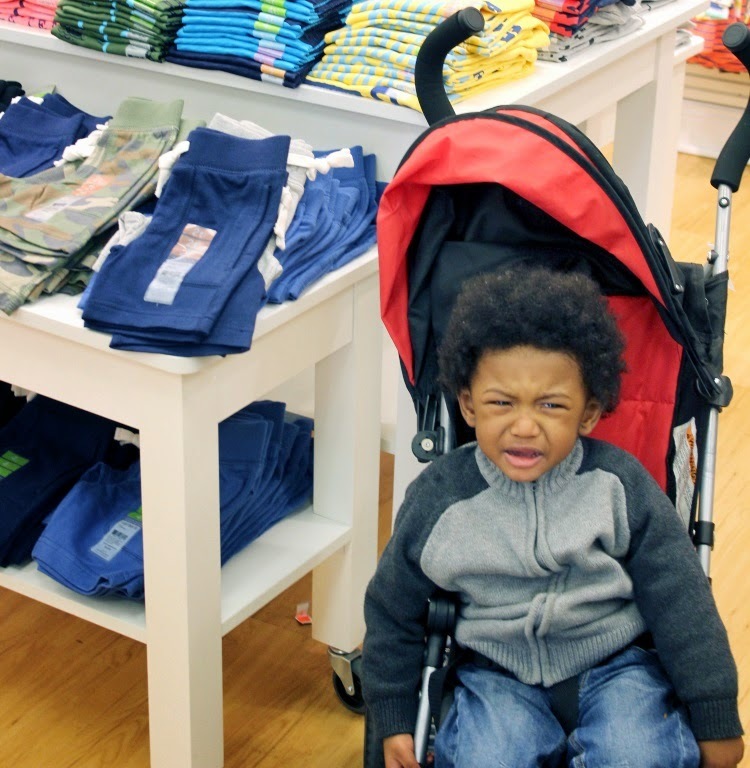 By the time we got to the register, Liam was over shopping. He let me know he was upset. Thank goodness Carter's had some entertainment to occupy his time. I came in just under $100. Thanks to a gift card from Carter's, I spent nothing out-of-pocket. I almost wanted to go back and look for more, but I practiced restraint. 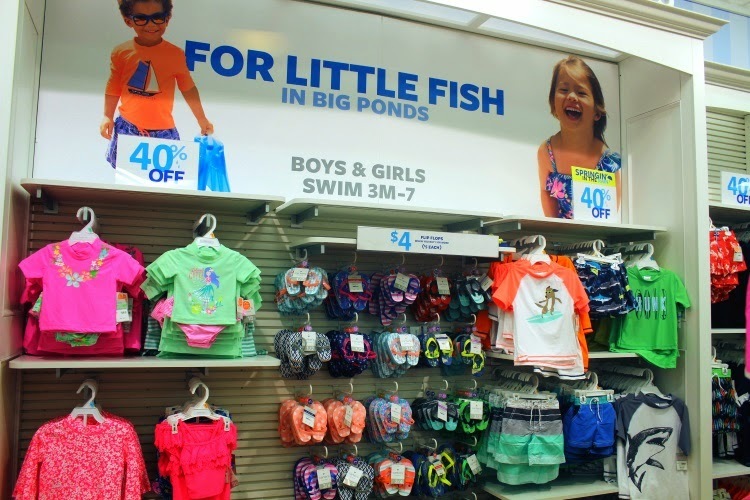 I can't say the same for my addiction to looking at girls clothing. It's going to take a lot of restraint to keep me from that. So, what are you doing this weekend? 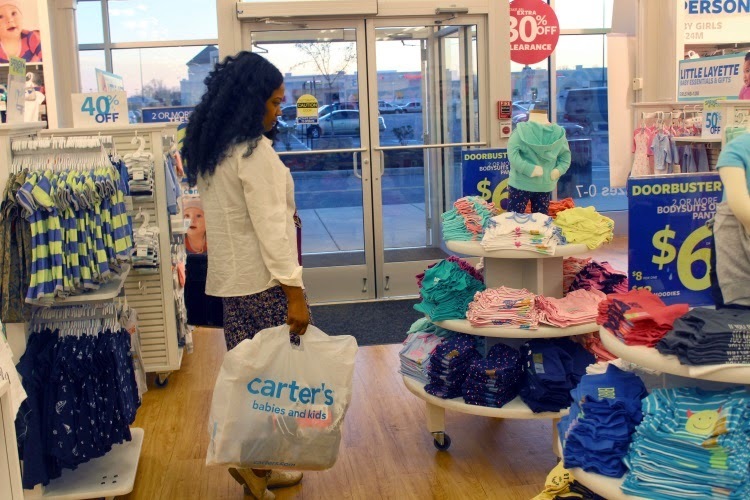 You should probably make some time to get to your local Carter's store to take advantage of these deals. Don't forget to your coupon and make sure you're arm is strong enough to carry away your bag of savings. **I will update this post with pictures of Liam wearing his fashions. Hoping for actual Spring weather so that we can go outside. 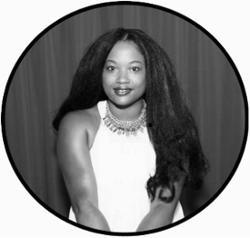 Be in the know! 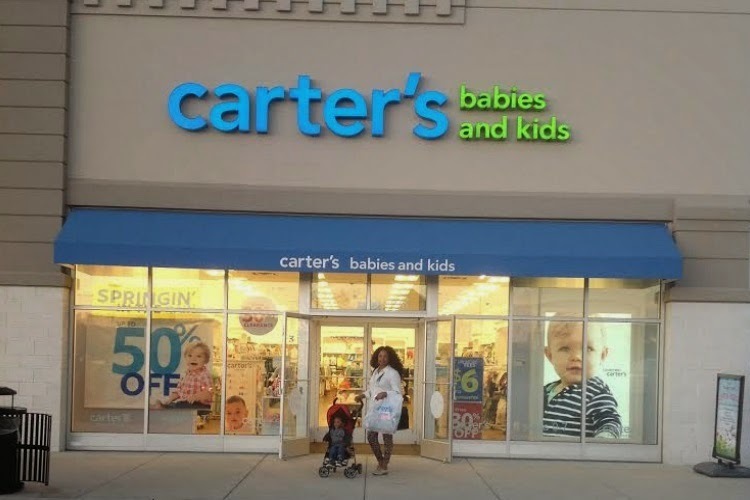 Follow Carter's online.